Cyprus Finance Minister and top bankers are in Moscow searching financial help after the EU proposal implying private savings levy was rejected by parliament. The Cypriot delegation is looking into whether Moscow’s terms are better. 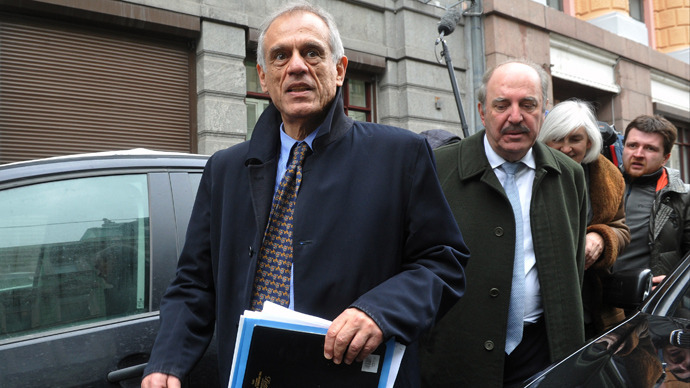 Finance Minister Michael Sarris, who heads the Cyprus delegation, has expressed hope that Moscow is going to lend money to Nicosia on acceptable conditions on Wednesday. The negotiations between Sarris and his Russian counterpart Anton Siluanov have not brought practical results so far. "There were no offers, nothing concrete... We're happy with a good beginning," Sarris said. Allegedly, Cyprus has asked Russia for a five-year extension of an existing loan of 2.5 billion euro Moscow that granted the island nation in 2011. Besides that Nicosia needs a credit line of several billion euro to bail out its banks. 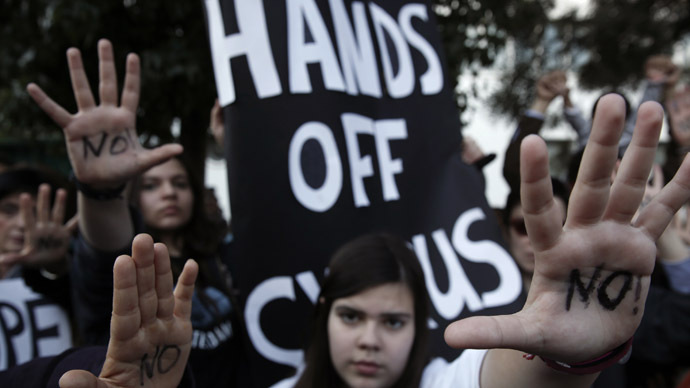 The demands of the European creditors pledging 10 per cent deposit levy in exchange for bailout of the Cyprus economy caused panic among country’s citizens and investors. Parliament on Tuesday voted against the EU demand to tax all accounts registered on the country. The measure supposed to claim 6.75 per cent from accounts under 100,000 euro and 9.9 per cent from those over 100,000 euro. On Tuesday, credit rating company Fitch announced it is going to reconsider ratings of Cyprus’ three major banks: Bank of Cyprus (BOC), Cyprus Popular Bank (CPB) and Hellenic Bank (HB) if the EU-proposed tithe is introduced in the country. 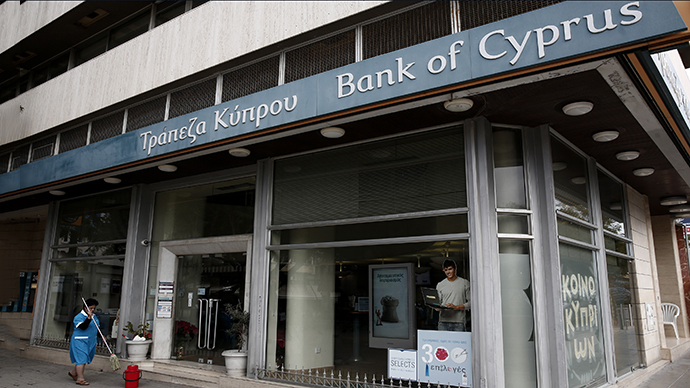 Cyprus Popular Bank was de-facto nationalized in 2012 after it demanded 1.8 billion euro for recapitalization. 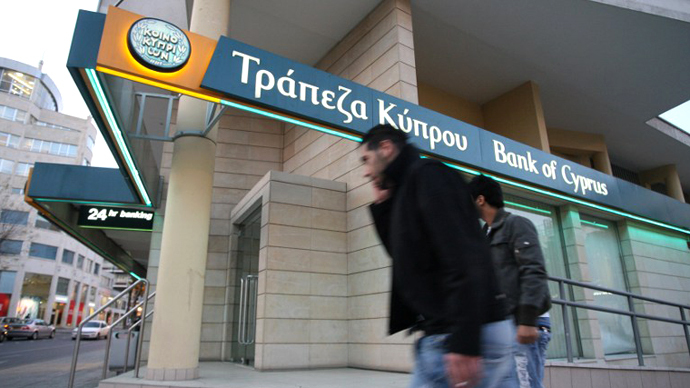 The crisis in Cyprus Popular Bank (branded Laiki at home) became one of the reasons why the Cypriot government had to address to the EU and IMF for financial support. 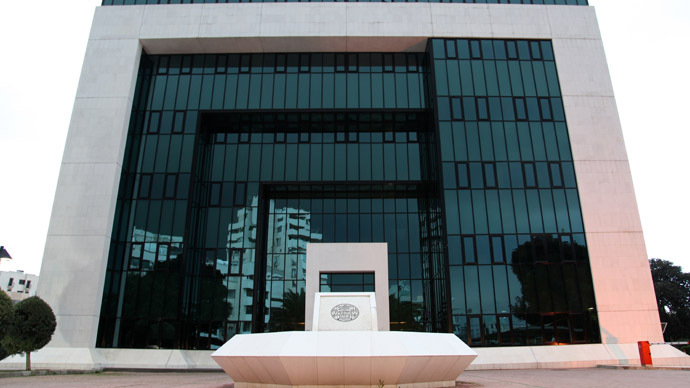 Cyprus banking system is paralyzed since March 18. All banks will remain closed till at least the end of the week. Germany’s Finance Minister Wolfgang Schauble warned that without the EU financial support Cypriot financial institutions are going bankrupt. 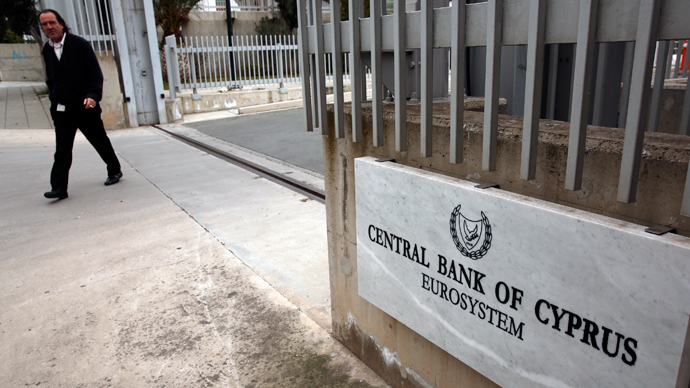 Austrian Finance Minister Maria Fekter warned that the European Central Bank would not support Cyprus banking system forever and that without liquidity from ECB Cypriot banks would not be able to open. On Tuesday evening, President of Cyprus Nikos Anastasiadis called on Russian leader Vladimir Putin to discuss the immediate situation. 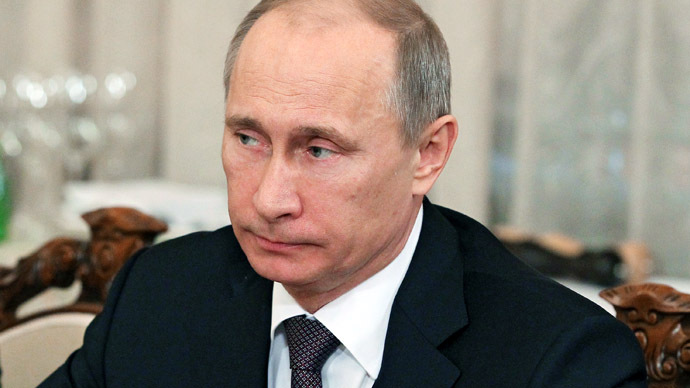 Putin expressed concern that expropriation of private savings proposed by the EU in Cyprus might harm the interests of the Russian citizens and welcomed further dialogue. The day after the phone talks between presidents, the Cypriot delegation boarded the plane for Moscow. According to various estimates the amount of cross-border loans Russian banks issued to Russia-related companies registered in Cyprus totals between US$30 billion and $40 billion. Most of Russia's largest banks are somehow involved in crediting Cyprus-based businesses. The attempt to introduce private deposit levy in Cyprus undermines the world financial system in general, said Russian Deputy Prime Minister Arkady Dvorkovich on Wednesday. “The question is that is does not matter who is punishing whom with this decision. The matter is if this is possible in Cyprus – it is possible everywhere,” Dvorkovich pointed out. “This decision would mean that there is no place to keep your savings, that banking system does not work anymore. It is easy to lose credibility to banks, but it is hard to restore it. There are other means of punishment – well known and easily applicable,” he concluded. The presence of Minister of Commerce, Industry and Tourism Giorgos Lakkotripis in the Cypriot delegation only adds intrigue to talks in Moscow. Speculation is raging as to what Russia is planning to ask from Cyprus in exchange for the money. The Wall Street Journal assures that Nicosia is preparing to exchange some shares in the island’s banks and energy projects in return for a Moscow credit line. Russian energy giant Gazprom has reportedly offered Cyprus a private bailout plan of its own, proposing to lend money in exchange for rights to offshore gas deposits in the Mediterranean Sea, the New York Times reports. 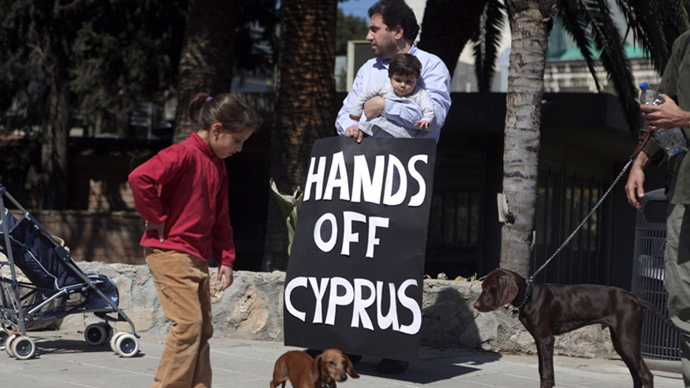 Cyprus’ gas reserves appear to be promising, yet undeveloped so far. Cypriot gas fields lie next to similar gas deposits recently found off the coast of Israel. In December 2012 Gazprom lost a bid for Israel's Leviathan natural gas field to Australia's largest oil and gas firm Woodside Petroleum, which bought a 30 per cent stake. Gazprom decided to approach the same gas deposits from a different shore, to gain entry to the gas supply of the Mediterranean.